Road Work Ahead: What's Next in the Gulch? The Atlas Shrugged trilogy may be over... but Galt’s Gulch Online is here to stay. Galt’s Gulch Online is now the world’s largest and most active online Objectivist community with over 18,000 members. And, we're just getting started. We're undergoing some renovations and we want your feedback. What's good? What's bad? What new features would you like to see? Stop by the Gulch now and tell us: What's next in the Gulch? Can’t get enough exclusive Atlas Shrugged content? Go behind the scenes with residents of the the Gulch in this newly released slideshow exclusive to Galt’s Gulch Producers. Become a Gulch Producer and watch the ASP3 production diary for day 3. The next time someone asks you “what’s your sign?”, tell them it’s the sign of the dollar. Show off your love for Ayn Rand’s ideas and Capitalism with this classically beautiful necklace. 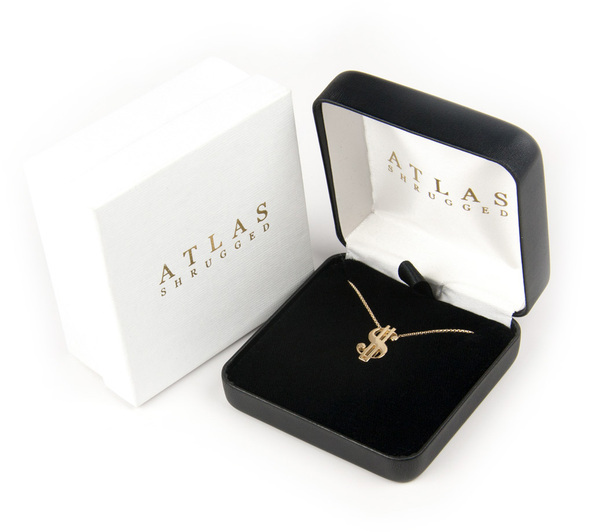 Get your Atlas Shrugged dollar sign necklace now.